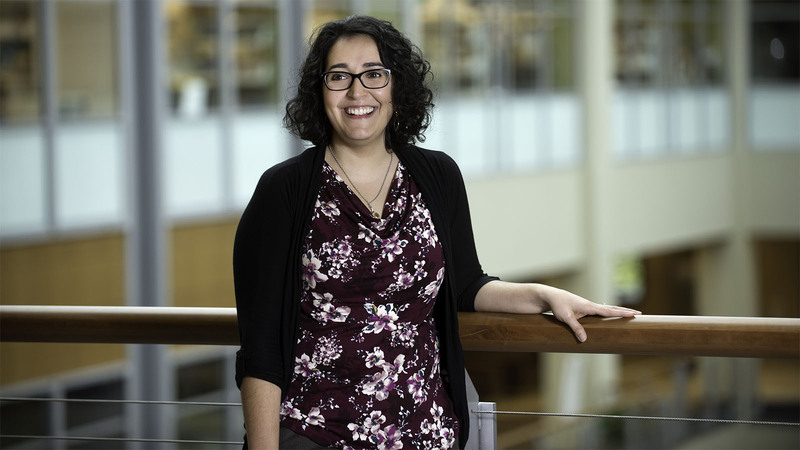 Elaheh (Ellie) Rahbar, PhD, is a biomedical engineer who develops diagnostics and therapies to improve the treatment, management and care of critically injured patients. Through biomarker analysis, she investigates the physiological responses to hemorrhagic shock, traumatic brain injury and resuscitation and partners with industry to develop clinical therapies and devices for trauma care. Elaheh Rahbar, PhD, earned a doctorate in biomedical engineering from Texas A&M University, where she focused her dissertation on the study of cardiovascular and lymphatic fluid mechanics. Her interest in trauma care began during her postdoctoral research fellowship at the University of Texas Health Sciences Center for Translational Injury Research, where she evaluated the role of biomechanics and coagulation in hemorrhagic shock and resuscitation. In 2015, Rahbar joined Wake Forest School of Medicine’s biomedical engineering faculty to conduct precision based trauma research in the department and through Wake Forest Baptist Medical Center’s Level 1 Trauma Center. Identifying and developing innovative, personalized therapies for critically injured patients is the foundation of Rahbar’s research. As principal investigator of Wake Forest Baptist’s Translational Trauma research laboratory, she maintains a biobank of Level 1 trauma patient biospecimens (including blood and DNA), and studies the interactions between inflammatory, metabolic and coagulopathic responses after critical injury and during resuscitation. She also researches subconcussive head impact exposure in youth athletes, collecting blood, saliva and urine biospecimens to characterize neuronal, metabolic, inflammatory, coagulation and genetic biomarkers associated with concussions. Rahbar’s other efforts targeted at optimizing trauma care include the development of an alternative life-saving resuscitative fluid designed to prolong cardiac and vascular function following trauma and hemorrhagic shock, with direct applications for military and emergency use. Rahbar also investigates the role of omega-3 fatty acids in critical lung injury, evaluating how docosahexaenoic acid (DHA) metabolizes and affects inflammation and coagulation response to trauma and specifically to traumatic brain injury and concussions. Rahbar’s biomedical engineering and trauma expertise translates to her industry partnerships, with collaborations focused on developing devices, diagnostics and individualized treatments for trauma patients. She has widespread expertise and can lead and facilitate clinical studies through Wake Forest Baptist, a Level 1 Trauma Center.